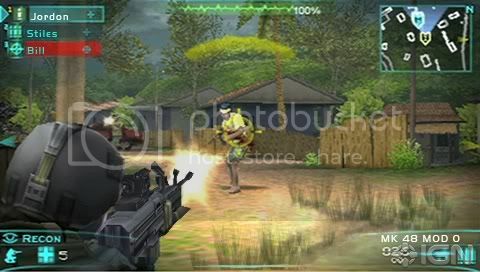 SAN FRANCISCO - Today Ubisoft announced Tom Clancy's Ghost Recon for the Wii system from Nintendo and Tom Clancy's Ghost Recon Predator for the PSP (PlayStation Portable) system have shipped and are now available on store shelves. The game provides a true Ghost Recon experience as the outnumbered Ghosts must use advanced strategies and high-tech weapons to their advantage to turn the odds around. 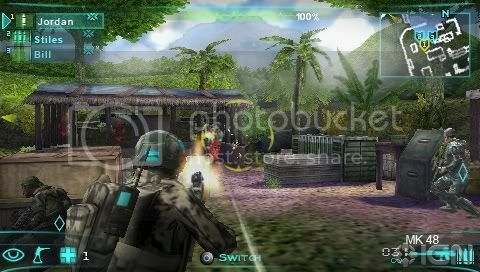 Players have the option to play with friends to build teams and cooperate in developing strategic moves to defeat challenging enemies. Tom Clancy's Ghost Recon (Wii) has an MSRP of $49.99 and Tom Clancy's Ghost Recon Predator (PSP system) has an MSRP of $29.99; both are rated "T" for Teen by the ESRB. An exclusive tactical experience: Decide what tactics are best – use your massive firepower to eliminate powerful enemies or use the jungle to sneak behind enemies and strike using the element of surprise. Electronic warfare: Use high-tech equipment to hunt, such as drones, air support and prototype weapons. Gaining experience for your squad allows customization of your Ghosts, making them more powerful. Multiplayer co-op: Create a rifle team with two other friends (up to three players ad-hoc). Use flanking tactics with your teammates to outsmart the opposition. Ghost Hunters International hizo dos programas en Tiquicia!